When it comes to your eye sight, you shouldn’t have to settle for anything less than the very best. To improve or maintain sharp vision, it’s important to have an optometrist on your side with the experience, expertise and equipment to provide the best quality of vision care. Dr. Thomas Aller isn’t just regarded as one of the best optometrists in the Bay Area. He’s considered one of top optometrists in the nation and is one of the leading experts in myopia and Orthokeratology. 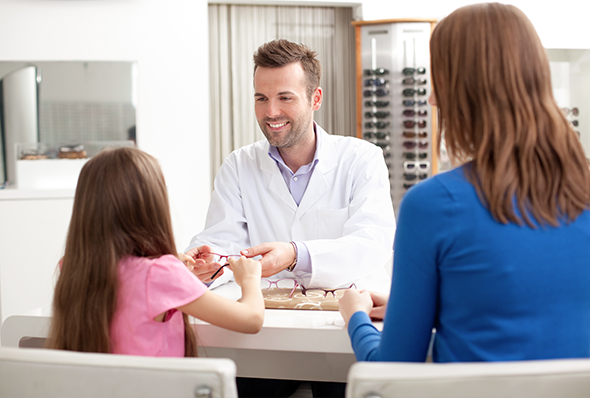 Dr. Aller and his staff are nationally known for their emphasis on controlling myopia progression in children. Besides contributing regularly to the field of vision science and the development of innovative treatments, Dr. Aller sees patients regularly at his state-of-the-art optometry office in San Bruno, California. Whether you need a simple eye exam or require urgent care for complex vision problems in San Mateo County, Dr. Aller and his knowledgeable staff are committed to helping each patient receive the high quality of care they deserve. In addition to diagnosing and treating vision problems, Dr. Aller and his staff can provide the right corrective eye glasses and contact lenses to help you look and see your best.